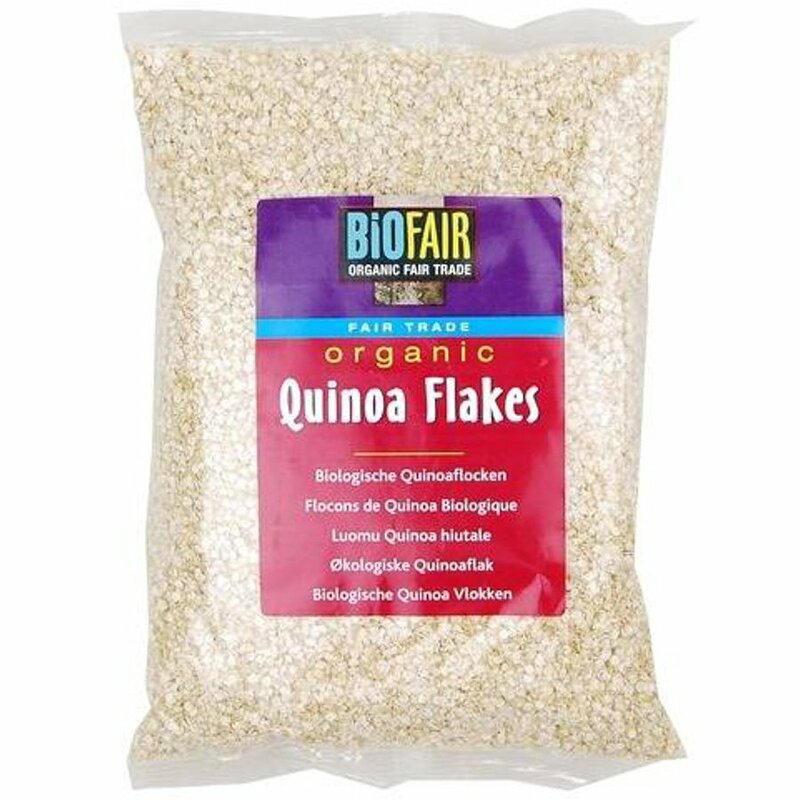 These quinoa flakes are 100% pure organic quinoa – and they’re fair trade and gluten free too. This is a delicious alternative to porridge and creates a wonderful gluten free, protein rich breakfast. You could also add some flakes to soups or as a topping on a variety of sweet and savoury dishes as an extra protein boost. The BioFair Organic Fairtrade Quinoa Flakes - 400g product ethics are indicated below. To learn more about these product ethics and to see related products, follow the links below. 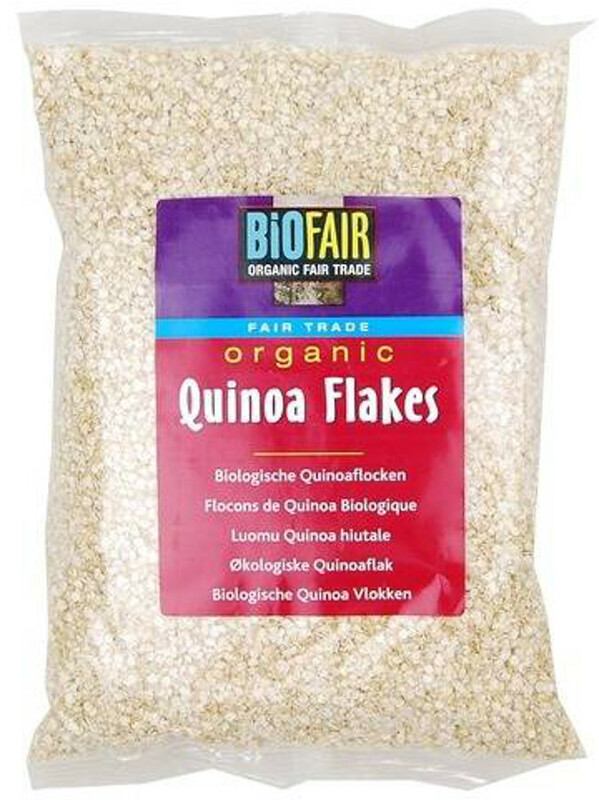 There are currently no questions to display about BioFair Organic Fairtrade Quinoa Flakes - 400g.